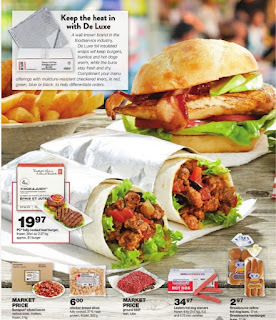 Wholesale club Flyer April 12 - May 2, 2018 is now available – Get all the latest specials flyers, deals, and coupons from great canadian wholesale club flyer. 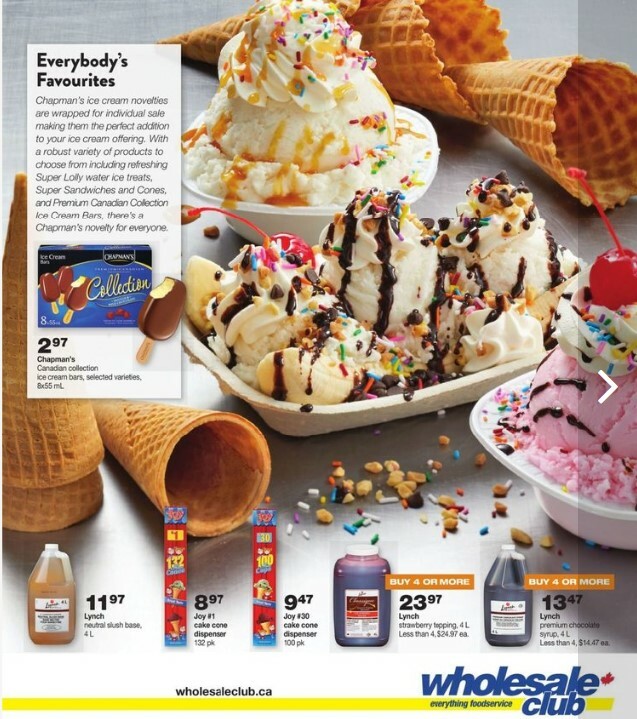 Also, keep your challenge with coupons and great deals from Wholesale club online flyer. In this post you are gonna find latest news about Wholesale club stores, Wholesale club Flyer, product reviews, product prices, latest flyer, store locator, Wholesale club canada hours and more. 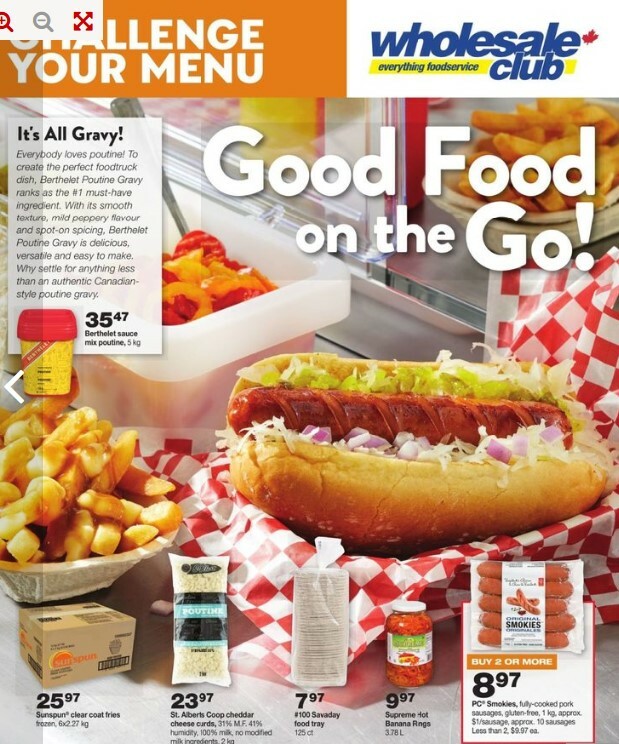 Wholesale club (Nofrills Body Style) is a Canadian chain of deep discount supermarkets, owned by Loblaw Companies Limited, a subsidiary of George Weston Limited. There are more than 200 franchised stores in nine Canadian provinces - Ontario, Alberta, British Columbia, Saskatchewan, Manitoba, New Brunswick, Nova Scotia, Prince Edward Island and Newfoundland And Labrador. 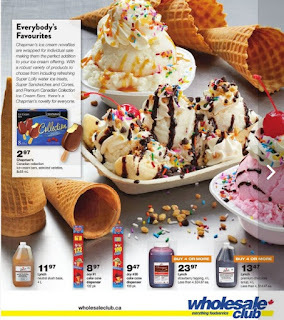 The smartest method to save money by visiting Wholesale club store, and there are a specials great deal in Wholesale club flyer product. Wholesale everything foodservice hershey's day rooster brand scented jasmine rice 8kg price 10.88, Kraft miracle whip 3.78 L price 12.97, Sunspin breaded chicken breast fillet, 4kg, frozen uncooked 17% meat protein approx 60 ct - Price 39.97, Halls 20 pack $15.97, Sunspun peanut butter foodservice 4.5 kg - price $25.97, Sunspun mushrooms pieces and stems 2.84 L price 7.97 +more. Save more this week with Wholesale club. 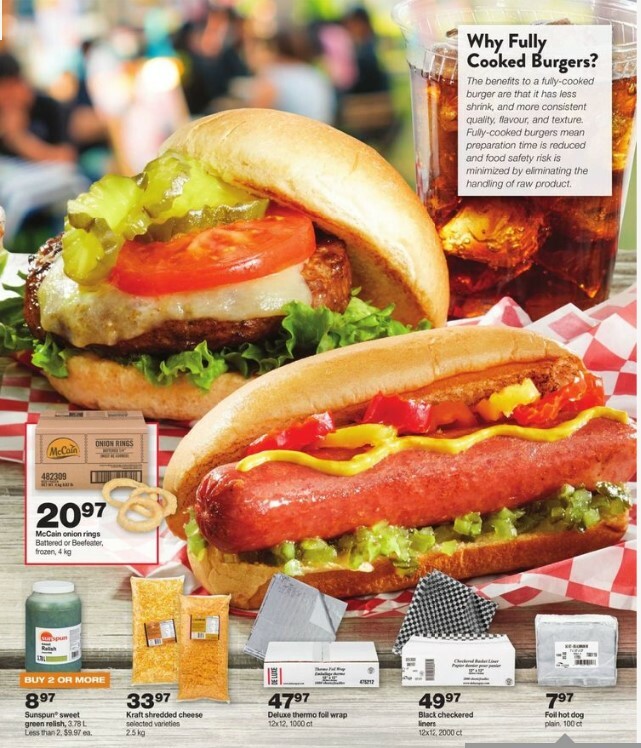 Grab these great deals at your local store and don’t forget to print off your local Wholesale club coupon, to get the best deals. More detailed information can be found by clicking similar website here or visiting official site www.wholesaleclub.ca then Enter a zip code or state to get all the information from the offers Wholesale club flyer store.